The field of chiropractic medicine continues to grow and evolve despite being a discipline that is more than 100 years old. Today, some of those changes are taking place in practice, and affect the compensation a Doctor of Chiropractic (DC), or a chiropractic physician as they are also known, earns as a result. If you are wondering “how much do chiropractors make?” you are not alone. It is a growing area of interest that is studied by other industries as well. The 2018 salary and expense survey from Chiropractic Economics shows that the average Doctor of Chiropractic salary in 2018 is $107,310, which is a significant increase from $76,542 in 2016. This differs from their total compensation, which will be discussed later. The survey also indicates that significantly more chiropractic professionals are choosing to work in multi-disciplinary and integrated settings. Depending on the settings in which chiropractic doctors work, they may receive significantly more compensation than average. What are Multidisciplinary and Integrated Settings? As defined in the Chiropractic Economics survey, multidisciplinary and integrative settings differ from solo chiropractic medicine practices because they employ other health practitioners to help provide more comprehensive treatments of their patients. Multidisciplinary clinics staff at least one other complementary or alternative medicine practitioner. This can include massage therapists, acupuncturists and other kinds of specialists. Integrated clinics have both DCs and medical doctors on staff. 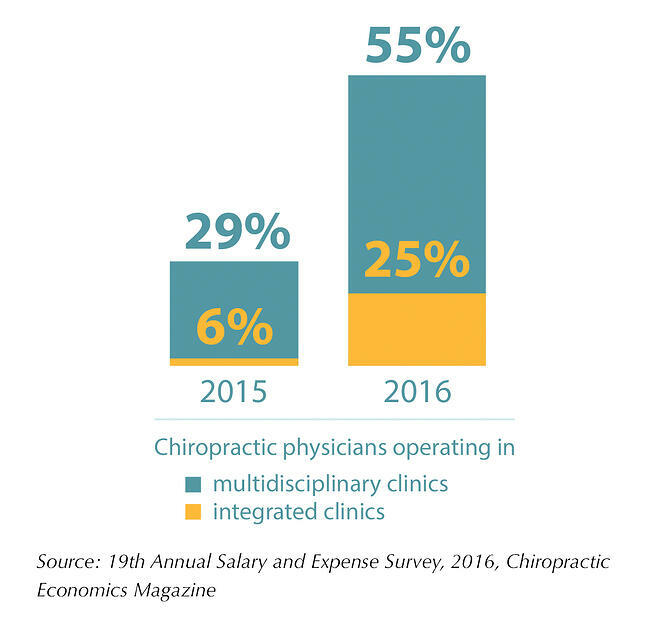 In the Chiropractic Economics report, 30 percent of the DCs surveyed reported that they operated in a multidisciplinary clinic, compared to 25 percent last year. Eight percent responded that they work in an integrated practice — a decrease from 11 percent the previous year. The reasons for this growing shift becomes more clear in other parts of the survey. DCs that worked in these non-solo settings reported various benefits. DCs in Integrative Settings Earn More Money on Average. So, just how much do chiropractors make per year? 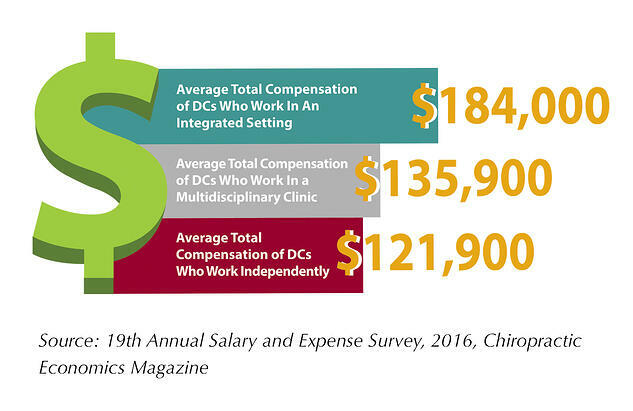 The survey found that chiropractic doctors working in integrated practices or multidisciplinary clinics make better total compensation on average per year than their solo practice counterparts. These significant differences in compensation may be attracting more DCs to these kinds of practices. DCs at Integrative Settings Bring in More in Billings. This growing shift and the increased total compensation may be due to higher amount in billings these settings see on average. In the Chiropractic Economics survey, integrated health care practices reported an average of more than $880,000 more in billings compared to solo-DC practices. Meanwhile, multidisciplinary practices reported about $118,000 more on average than solo-DC practices. As a result, integrative practices saw the highest collections of $1,092,940 compared to $441,780 for multidisciplinary and $422,480 for DC-only practices, according to the survey. Integrative settings bring in more new patients. Patients may be beginning to see the benefits of integrated or multidisciplinary settings. The survey reports that integrated settings saw an average of 13.1 new patients a week compared to the 6.9 new patients seen per week at solo practices. Multidisciplinary clinics also saw more new patients, with an average of 10.1 per week. While the differences are small each week, added up over the year, these minor differences can be significant. They may also be indicative of new trends in chiropractic care and the type of modalities of interest to patients. Like their patients, DCs seem to be making the shift toward more integrative care. As the chiropractic field continues to grow (12 percent by 2026, according to the U.S. Bureau of Labor Statistics), this is one of many ways DCs can continue to bring in more earnings and also stay relevant to their patient’s health needs. Specialization in Specific Fields Allow DCs to Stand Out. What does it take to become a chiropractor who specializes in a specific area? Becoming a chiropractic physician with specializations and advanced training in the field is another way certain physicians can justify more in earnings. National University of Health Sciences (NUHS) has an exceptional postgraduate department where students are welcome and encouraged to take additional courses that provide specialized skills for future practice. including the following popular areas of specialization. 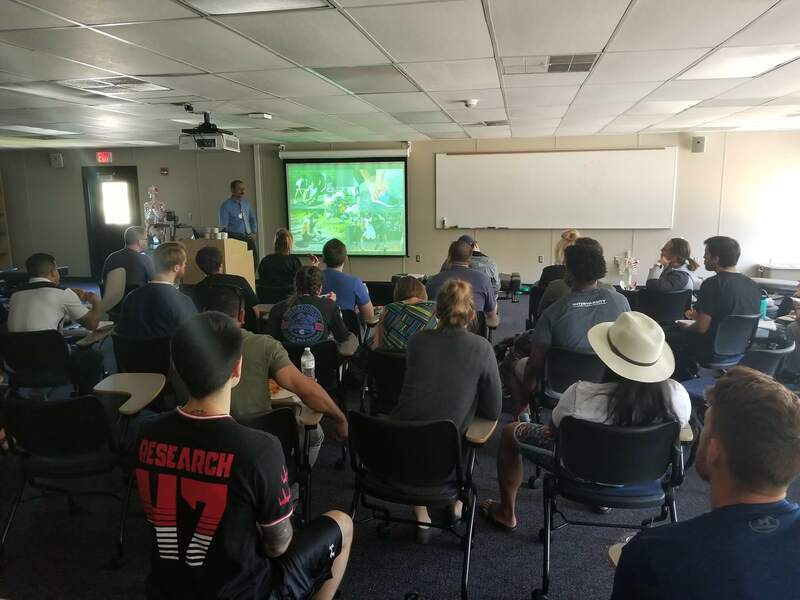 Many Doctor of Chiropractic students get specialization in sports medicine and exercise science, such as Certified Chiropractic Sports Physician (CCSP), offered through NUHS’ postgraduate department. This certification allows DCs to treat sports injuries, enhance athletic performance and promote physical fitness. Today, NFL and MLB teams have chiropractors on staff. Olympic athletes and teams seek chiropractic treatments during tournaments. At National University, our faculty includes experts like Carlo Guadagno, DC, CCSP®, ICCSP, FICC, who was recently named the American Chiropractic Association Sports Council's (ACASC) 2016 Sports Chiropractor of the Year. His success in the field of sports chiropractic has allowed him to treat Olympic athletes at the 2016 Olympic Games in Rio de Janeiro. Chosen from hundreds of applicants, Dr. Guadagno was part of an international team of just 16 DCs in the Olympic Village Polyclinic. DCs with Multiple Degrees Offer More Treatment Options. As a solo-practice chiropractic physician, one option to increase offerings to patients is to expand your credentials. Many chiropractic professionals earn additional degrees in complementary areas to expand their career options and increase income earning potential. National University of Health Sciences offers programs for Doctor of Naturopathic Medicine, Master of Science in Acupuncture, Master of Science in Oriental Medicine and a Certificate in Massage Therapy. Students at National University also have the unique advantage of earning several health care degrees all on one campus — saving both time and money, as opposed to pursuing the degrees at separate times or at separate institutions. At NUHS, we believe in bringing together professionals from a broad range of medical specialties for the benefit of patients and the health care industry as a whole. With a growing trend toward integrated settings, National University offers a campus dedicated to integrative medicine to better prepare students for the future of health care. We hope this post has answered your questions about how much chiropractors make and what helps them stand out professionally from their competitors. Learn more about becoming a chiropractic physician with the guide below! Contact us today with any questions about our Doctor of Chiropractic Medicine program. Christopher Arick, DC, MS, is the assistant dean of the chiropractic medicine program at National University of Health Sciences. He oversees various academic elements of the program, including curriculum development and evaluation along with interactive learning between the Florida and Illinois sites. Previously, he had been on the faculty at the National University of Health Sciences - Florida site since 2012. He received his chiropractic degree from National University in 2005 and practiced for six years in Indiana before teaching.